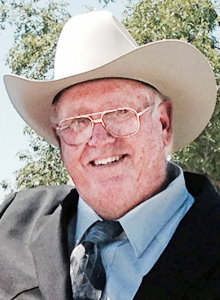 Services are scheduled for 10 a.m. Thursday, Aug. 9, at First Christian Church for Dennis Todd Tidwell of Artesia. Tidwell, 75, passed away Saturday, Aug. 4, 2018, at Kindred Hospital in Albuquerque. Pastor David Grousnick will officiate the services, with interment to follow at Woodbine Cemetery. Pallbearers will be Buddy DeLong, Kenneth Mitcham, Alton Morgan, Bernard Cleve, Eddy Wallace and Bill Goodson. Honorary pallbearers are George Chase, Bill Phillips, Angel Ramos and Bob Waugh. Visitation will be held from 10 a.m. – 8 p.m. Wednesday at Terpening & Son Mortuary. Dennis was born May 11, 1943, in Artesia, the son of Clyde and Vivian (Haldeman) Tidwell. He was a lifelong Artesia resident. He was a cable tool well driller and a member of First Christian Church. Dennis loved animals, horses, livestock, and his dog. He enjoyed visiting with his family and friends, and was a lifelong early-morning coffee shop regular. Survivors include his wife, Linda Tidwell, of Artesia; sons Todd Tidwell and Trenton Tidwell, both of California; stepmother Lake Tidwell of Artesia; granddaughter Nicole Lillie Evans of Artesia; and ex-wife Kathy Tidwell. He was preceded in death by his parents and an infant daughter.